PJSC Ukrnafta boosted oil and gas condensate production in January 2019 by 4.4% compared to the same period last year, to 128,000 tonnes, while natural gas output grew by 7.4%, to 99 million cubic meters, the company’s press service has said. 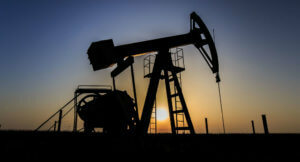 “The increase in production is due to repairs to prospective wells and measures to intensify production, including perforating operations with the use of foreign-made systems with increased efficiency,” it said. The company’s production in February continues to grow it said. So, as of February 14, the average daily production of oil and condensate was 4,200 tonnes vs. 4,100 tonnes in January 2019. As reported, Ukrnafta in 2018 increased the production of crude oil and gas condensate by 5% (0.069 million tonnes) compared to 2017, to 1.448 million tonnes. Natural gas production in 2018 decreased by 2.3% (0.026 million cubic meters), to 1.082 billion cubic meters, production of liquefied gas fell by 5.2% (6,000 tonnes), to 110,000 tonnes. 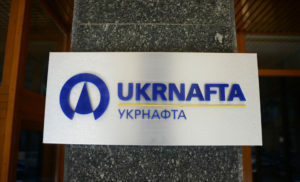 Ukrnafta is the largest oil producing company in the country. NJSC Naftogaz Ukrainy owns 50% + one share of Ukrnafta, a group of companies associated with former shareholders of PrivatBank holds about 42% of its shares. PJSC Ukrnafta in January-November 2018 increased production of oil and gas condensate by 5.1% or 65,000 tonnes year-over-year, to 1.324 million tonnes, the company’s press service has reported. Over the period average daily oil production was 4,000 tonnes (5.1% more than a year ago). The company recalled that positive dynamics was observed thanks to the resumption of operation at wells at six fields, which Ukrnafta was forced to stop in the second half of 2017, as well as thanks to measures aimed at intensifying production at the existing well stock. According to the company, gas production in January-November 2018 decreased by 3.1% (by 32 million cubic meters), to 986 million cubic meters, and the production of liquefied gas – by 5.7% (6,000 tonnes), to 100,000 tonnes. In general, in January-November 2018, Ukrnafta carried out 14 hydraulic fractures, completed the overhaul of 97 wells, and carried out 80 operations to intensify production. “Thanks to the overhaul, as of the end of November, an additional 51,600 tonnes of oil and condensate were produced, as well as 68.1 million cubic meters of gas. 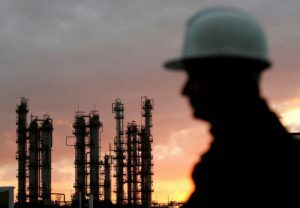 Intensification of operations added 24,100 tonnes of oil and 7.1 million cubic meters of gas,” the company said. 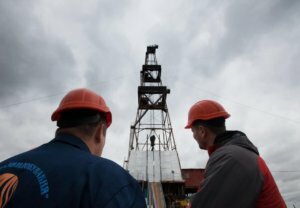 Ukrnafta predicts to increase in annual oil and condensate production by 5% by the end of 2018 compared to the planned figure (1.38 million tonnes), to 1.45 million tonnes. Gas production could grow by 11%, to 1.08 billion cubic meters (the target is 0.97 billion cubic meters, production in 2017 amounted to 1.11 billion cubic meters). Ukrnafta is the largest oil producing company in the country. Naftogaz Ukrainy owns 50% plus one share in Ukrnafta and companies associated with the former shareholders in PrivatBank own about 42%. Ukrnafta saw net profit rise by 54.3% in January-June 2018 compared to the same period in 2017, to UAH 2.061 billion. According to a company report in the information disclosure system of the National Commission on Securities and the Stock Market, its net income grew by 21.6%, to UAH 16.762 billion, gross profit by 40.8%, to UAH 9.675 billion. In January-June 2018 Ukrnafta sold 712,800 tonnes of oil with gas condensate for UAH 9.398 billion, 117.8 million cubic meters of natural gas for UAH 889.635 million, 174,200 tonnes of fertilizers and nitrogen compounds for UAH 831.937 million, 53,000 tonnes of liquefied gas for UAH 639.321 million. Ukrnafta has not indicated data on the sales of petroleum products for the first half of the year. Naftogaz Ukrainy owns a 50% plus one share stake of Ukrnafta, the former shareholders of PrivatBank (Kyiv) hold about 42% of the shares. PJSC Ukrnafta has reconstructed five of its fuel filling stations in Kyiv region, the company’s press service has told Interfax-Ukraine. “As of today, within the framework of the pilot project, five filling stations in Kyiv region have been reconstructed and put into operation, another filling station is to be commissioned in the near future,” the company said. Ukrnafta intends in early summer to proceed to the next “wave” of reconstruction, within which ten fuel stations in the western region (Lviv and Rivne regions) will be modernized. “It is planned by the end of the year to begin the reconstruction of another 20 fuel stations. The estimated time for the reconstruction of each of the “waves” is four months,” the press service added. The renewed fuel stations are equipped with shops and fast food zones. The cost of reconstruction is not specified. As reported, Ukrnafta owns a network of 537 fuel filling stations. 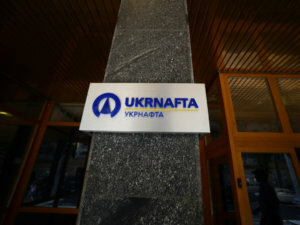 Naftogaz Ukrainy owns a 50% plus one share stake in Ukrnafta, a group of companies associated with the former shareholders of PrivatBank holds about 42% of shares.